Moles are brown or black growths, usually round or oval, that can appear anywhere on the skin. They can be rough or smooth, flat or raised, single or in multiples. They occur when cells that are responsible for skin pigmentation, known as melanocytes, grow in clusters instead of being spread out across the skin. Generally, moles are less than one-quarter inch in size. Most moles appear by the age of 20, although some moles may appear later in life. Worried about a particular mole or in need of a skin check? Mid-Atlantic Skin is proud to offer free monthly skin checks. 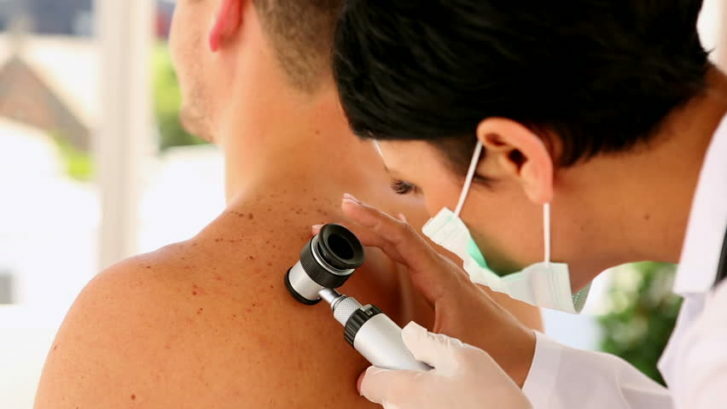 A free skin cancer screening is an easy way to help with early detection for skin cancer. Contact us today to schedule your appointment with Dr. George Verghese. Click here for more information on Moles.